It's Thursday, and that means another installment of Best of the Web, featuring the Top 20 links of the week. We've got Patriots accusations towards the Steelers, Roethlisburger recipes, Penguins dishing out turkey, Canuck fans ejected from the CEC, Pirate free agent news, a plethora of Burgh-related honors, and much, much more. Consider your lunch-hour reading needs at least semi-fulfilled. 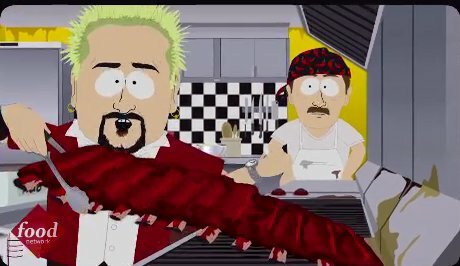 And for your bonus non-sports, non-Pittsburgh link, I direct you to the streaming version of last night's South Park season finale, skewering The Food Network and the Shake Weight. It's a solid 9, and a 10 if you've ever watched more than one hour of The Food Network in your life. Can't get it to stream but I did see it last nite. The "perky tats and gigantic head" comment about Giada was Funny as hell. Plus, I always thought there was something peverted about those shake weights.